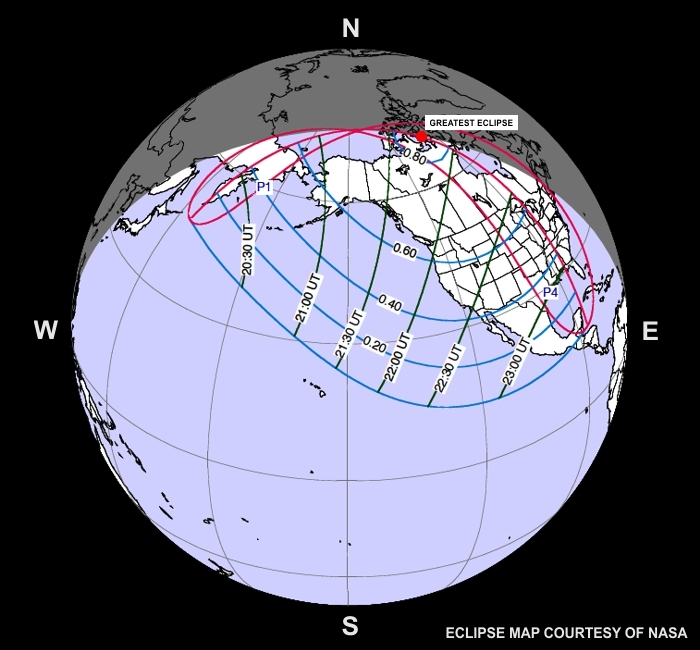 The partial solar eclipse of October 23, 2014 will be visible for most of North America, with a maximum coverage of 81% as seen from the northern Canadian province of Nunavut (red dot on map). Observers elsewhere on the continent will see less coverage, as delineated by the blue lines on the map. For example, the American state of Oregon will enjoy 60% coverage, while central Mexico will see only 20% coverage. The dark green lines on the map indicate times between the start and end of the eclipse as the Moon’s shadow sweeps from west to east across the Earth. The maximum coverage of the Sun by the Moon will occur at 21:45 UT. P1 and P4 mark the start and end of the eclipse, respectively. To convert between your local (clock) time and UT, use our handy Local & UTC page. It reads your computer system time, so be sure your computer is correctly synced with internet time. To see a simulation of the coverage at your location, use the Eclipse Calculator on TimeAndDate.com and enter the name of your nearest large city. Any city within 100 km (65 miles) will provide reasonably accurate results. The eclipse path traces high along the globe, with the umbra passing above the North Pole, so no location will see this as a total solar eclipse. Locations within the red “figure 8” will experience both maximum coverage and duration. There’s some nice animations of this event on Wiki simulating the Moon’s shadow moving across the Earth. To see an animation of the last partial solar eclipse, check out my May 28, 2012 post. If you want to see how the Sun and Moon create this effect on Earth, click on the thumbnail below. 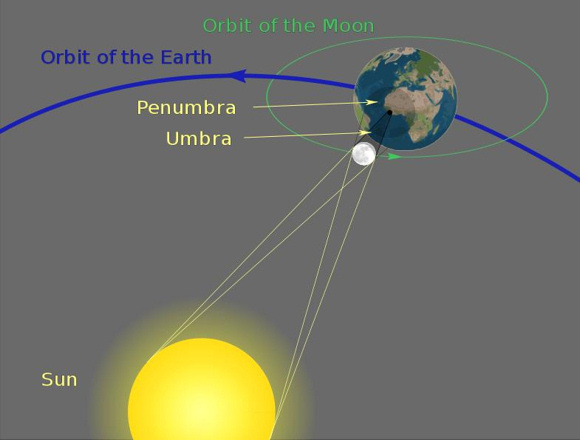 You must be in the umbra (darkest part of the Moon’s shadow) to see a total eclipse. 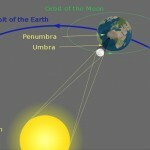 Locations in the penumbra will only see a partial eclipse. You might also find this animation helpful for understanding the kinematics of a partial solar eclipse. WARNING: You cannot safely view this event without following specific precautions. Your eyesight can be permanently damaged if you ignore this warning. There’s a summary of safe viewing procedures here. The easiest way to see this eclipse is to check with your local astronomy club and find out if they will be hosting a public viewing session. Trust that experienced astronomers will have the correct equipment for safe observing. Clear skies!